Property developers are focusing on building apartments costing less than Rp 1 billion (US$70,042) in order to expand their markets, business players. “Middle-income people are now the largest market segment in the property business,” said PT Summarecon Agung corporate secretary Jemmy Kusnadi in Jakarta on Monday as quoted by kontan.co.id. He added that 75 percent of the apartments the company had sold were bought by such customers. He said the prices of apartments also depended on location, with apartments in Jakarta costing more than those in its satellite cities like Bekasi in West Java and South Tangerang in Banten. “The prices of most apartments in Serpong, [South Tangerang] and Bekasi are below Rp 1 billion, although there are apartments that are more expensive,” Jemmy said, adding that the company organized various promotional events to increase sales. 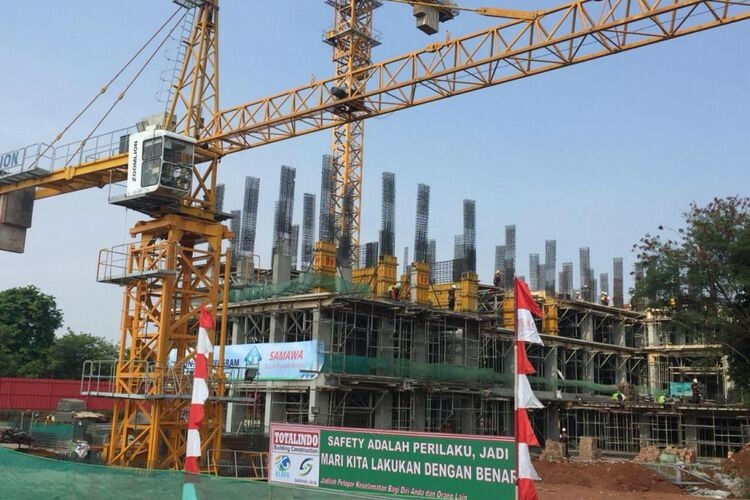 Meanwhile, PT PP Properti president director Taufik Hidayat concurred, saying the company developed apartments with prices below Rp 1 billion, such as those in Depok, West Java; in Cibubur, East Jakarta; Cilegon in Banten and in Yogyakarta. He said the company targeted millennials as its main customers. “The prices of our apartments are mostly below Rp 1 billion, in a range of Rp 300 million to Rp 700 million,” he said. Meanwhile, PT Ciputra Development plans to offer 600 apartments in Jakarta with prices starting from Rp 1 billion, this year. PT Ciputra Development director Artadinata Djangkar said the company could no longer maintain the prices of The Newtown 2 apartments, at less than Rp 1 billion as it had for The Newtown 1 apartments, because they are located in inner Jakarta.